Each year the IRS publishes the "Dirty Dozen" tax scams. The IRS notes, "Taxpayers should be on the lookout for tax scams using the IRS name. These schemes jump every year at tax time. Scams can be sophisticated and take many different forms. We urge people to protect themselves and use caution when viewing emails, receiving telephone calls or getting advice on tax issues." The top four tax scams this year are identity theft, phone fraud, fake websites and "free money" refunds. Identity Theft - The identity thief typically acquires your name and Social Security number. He or she attempts to file a tax return with your identity to obtain a large refund. The IRS reported an increase in identity theft tax fraud investigations last year. It has substantially increased its efforts to address potential identity theft and tax fraud. If you believe you have been a victim of identity theft, call the IRS Identity Protection Specialized Unit at 800-908-4490. There is additional information about identity theft on www.irs.gov. Phone Fraud - Identity thieves may call you claiming to be from the IRS or state government. Typically, they will use common names and claim that you owe taxes. If you do not immediately pay taxes to them, they threaten to revoke your driver's license or take other action. Frequently, the caller hangs up and within a few minutes a second person calls claiming to be a police officer or from the Department of Motor Vehicles. He or she confirms the first message and demands payment. The IRS has a protection line at 1-800-829-1040. If you think you have been called by a person fraudulently claiming to be from the government, you also can use the FTC Complaint Assistant at FTC.gov. Fake Email or Website - Phishing is a term for sending an email with a link to a fraudulent website claiming to be a government website. The goal of the sender is to persuade the person to click on the link and then enter personal information. Using a Social Security Number or banking information, the thief can then commit identity theft or financial theft. Taxpayers need to understand that the IRS will not contact them by email. Unsolicited email is not from the IRS. Anyone who receives a "phishing" email should forward it to phishing@irs.gov. "Free Money" Refunds - Some scammers will use fliers, ads, storefronts and word of mouth to claim that everyone can receive large refunds. Many scammers have used informal networks such as community groups or religious groups to promote their "service". They claim that everyone should receive a substantial "free money" tax refund. The scammers prepare tax returns with inflated deductions and improper credits. The victims pay a substantial fee and file the return to claim their large refund. Unfortunately, because income reported on your tax return affects distribution of various Social Security, veterans, low-income housing and other government benefits, some individuals have experienced interruptions in their other government payments because they improperly reported their income. Taxpayers should be on guard for preparers who charge a large fee and do not provide a copy of their tax return. The Tax Cuts and Jobs Act created a 21% excise tax on nonprofit compensation over $1 million. In Notice 2019-9, the Service provided guidance on this excise tax. The guidance sets forth the IRS position on several areas of discussion. The "covered employee" is one of the five highest paid individuals serving at a nonprofit. There are several definitions of covered employee in the Notice. Government Entity - A nonprofit related to a state or local government is covered. Medical Services - There will be a narrow interpretation of the exception for medical services. Generally, medical doctors are permitted to receive compensation for direct patient care, but compensation for their supervisory responsibilities will be subject to the excise tax. Related Organizations - Each related organization will have a separate set of top five employees for the purposes of the excise tax determination. Longevity - A covered employee will retain his or her status. There are also provisions for calculating the tax and for handling excess parachute payments. In Rev. Proc. 2019-12, the Service enabled business corporations and most passthrough entities to deduct payments to state charities that involve a state tax credit. The Tax Cuts and Jobs Act created a $10,000 limit for deduction of state and local taxes (SALT). There is an exception for business payments. These state tax payments with a business purpose are deductible. In a September 5, 2018, Frequently Asked Questions (FAQ) publication, the Service stated that business entity charitable gifts would be generally deductible even if there is a state tax credit. However, many taxpayers requested added assurance. The IRS explained that there were questions whether these gifts "would bear a direct relationship to the taxpayer's trade or business such that these payments would be considered ordinary and necessary business expenses of carrying on such trade or business under Sec. 162(a)." The IRS continued that these questions regarding whether the gifts were deductible would be answered in the affirmative. It stated, "Under the principles of Sections 702 and 1366, the deductibility of the payment must be determined at the level of the individual owners of the entity if the credit received or expected to receive will reduce a state or local income tax subject to the limitations of Sec. 164(b)(6)." Therefore, the "business deduction for charitable gifts" exception applies to C corporations and most passthrough entities. If the gifts are made for a business purpose, they justify an ordinary and necessary business deduction. 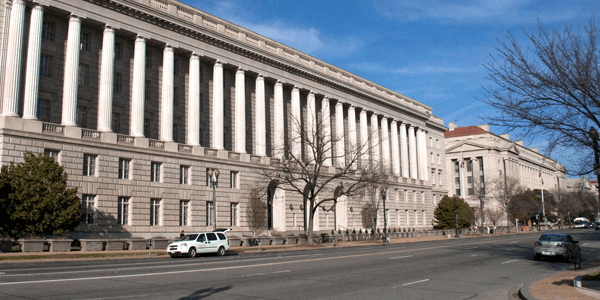 The IRS has announced the Applicable Federal Rate (AFR) for January of 2019. The AFR under Section 7520 for the month of January is 3.4%. The rates for December of 3.6% or November of 3.6% also may be used. The highest AFR is beneficial for charitable deductions of remainder interests. The lowest AFR is best for lead trusts and life estate reserved agreements. With a gift annuity, if the annuitant desires greater tax-free payments the lowest AFR is preferable. During 2019, pooled income funds in existence less than three tax years must use a 2.2% deemed rate of return.